It is easy to poke fun at romantic novels of the sort written by Santa Montefiore: even if they are well-crafted entertainment, they are hardly literary works of art. On the other hand, they don’t pretend to be. Such novels, and this one is described on the cover as a ‘romantic epic’, are unashamedly popular and, as written by Santa, very popular indeed. The paperback of her preceding novel, Songs of Love and War published in May 2016, quickly found itself high up on the Sunday Times bestseller list, the Guardian’s fiction list and other lists too. In total, over one-and-a-half million copies of her previous books have sold in the UK and Australia. At this point I should set out my stall. I’m a Santa virgin – never read one of her books and never been tempted till now, but this one caught my eye as it’s set largely in West Cork, a sensationally beautiful part of Ireland with which I’m familiar. I’m not much of a reader of chic lit or genre fiction in general, though I certainly don’t despise them – I’ve enjoyed some early Katie Fforde and the occasional Rebus and Bernie Gunther story. But I admire Santa’s success, I’m intrigued by it, and I’m coming to her fiction fresh and open-minded. I want to find out what the fuss is all about. 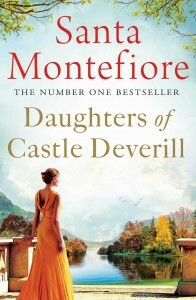 Many of the characters are titled, and settings are picturesque, peppered with grand houses and castles, but not recognizably coastal West Cork where in my experience the hills are rocky and most beaches a mass of pebbles, nothing like the novel’s white sand and cliffs edging lush green fields. It’s not enough to drop in the names of towns like Bantry and Clonakilty and mention turf fires and buttermilk and porter cake. Like the costume references, these feel cosmetic, but overall they are only a minor irritant and probably only to anyone who knows the place. In spite of this list of reservations, I was drawn in. The narrative gallops along, with plenty of references to the backstory to pad it out, and highs and lows to keep you hooked. Characters are not all black-and-white and some of them are likeable and actually develop, for example Celia who, after the death of someone close to her, undergoes a complete shift. Which brings me on to the web of family relations. A family tree is helpfully provided at the start, distinguishing the Ballinakelly Deverills (Bertie, Harry, Kitty…) from the London Deverills (Digby, Beatrice, Celia and Archie…), but even so it takes some effort to keep track of everyone and their relationships. Turns out there’s a reason for both the instant enormous family and all that back story. As the novel drew to a close I was wondering how on earth Santa was going to pull all the threads together in the few remaining pages, and the answer is, she didn’t. Because… this is the second of three novels in the Deverill trilogy. This fact eluded me until faced with the advertisement, opposite the last page, for the third and final episode, coming in 2017. Means, of course, that the backstory is laid out in full in the previous volume which is the aforementioned Songs of Love and War. So, will I go back and read that? Probably not, because its plot has been revealed to me, and Santa’s books are all about the story. You don’t read them for the luxury of intellectual insight or for language that makes you tingle with delight. Will I read the third in the trilogy? Yes, for reasons other than simply curiosity about what happens to Celia, Kitty and the rest. Santa has two secret weapons which lift Daughters of Castle Deverill from the mundane, one comic, one supernatural. The latter is Adeline, Bertie’s mother, whose husband Hubert died in the fire at Castle Deverill. But, hold on, isn’t Adeline also dead? Yes, so this is her ghost lingering with a whole lot of others who are all the past owners of the castle down the ages, condemned by Maggie O’Leary’s curse to hang around till the castle and its lands are restored to Maggie’s descendants. Adeline is acerbic and thoughtful and tries to help in various situations, and I’d have enjoyed a lot more of her. The comic weapon is Adeline’s twin spinster sisters (not dead), Hazel and Laurel, known collectively as the Shrubs. These women are brisk, sometimes irascible, and inseparable until they both fall in love with the same man. I’ll be reading part three for more of Adeline, and the Shrubs and their sparky dialogue and their middle-age love story – and I want to discover what becomes of the resolution the sisters made near the end of Daughters. 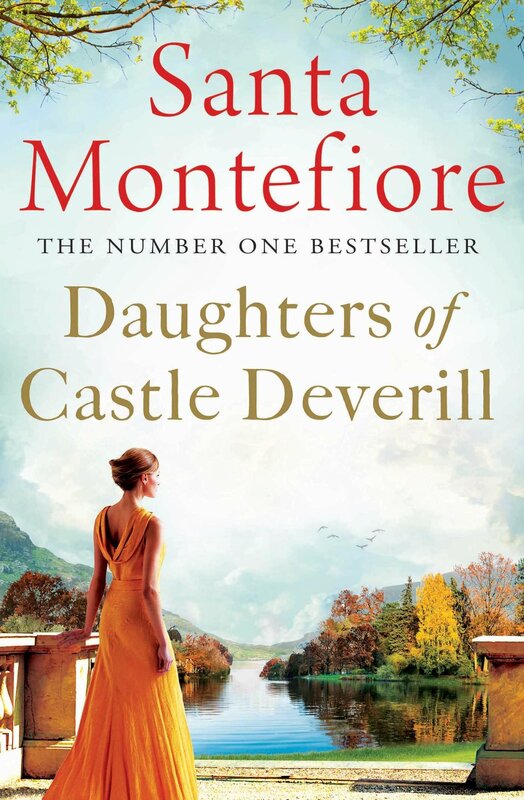 And I’ll be reading because Daughters of Castle Deverill is a romp, and I’m anticipating the pleasure of a little bit more of the same, thank you very much.